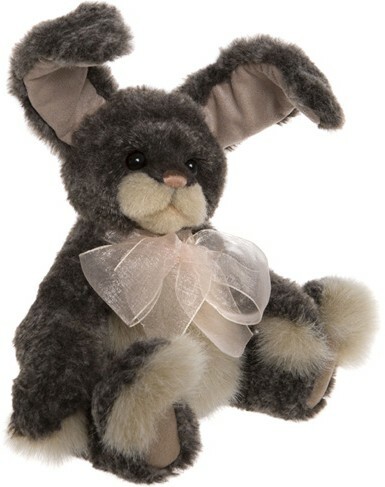 Corfe Bears > Charlie Bears > ASH 9"
She is made from mottled fur in a mixture of black and grey tones, with a light brown tummy and muzzle, finished with a pink hand-stitched nose. Her paws and feet have longer fur, for added detail and will be great for running your hands through. Ash will add a different aspect to your collection, as she has wired ears, so is easily poseable. Ash is a sweet little rabbit, who will certainly have no problems capturing your heart... will she be hopping to your home? Ash is from the Charlie Bears 2019 Collection. 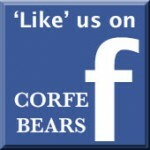 © This description has been written by Jade Maskell of Corfe Bears and is our intellectual copyright. If used by any other party, further action will be taken.